What happens when you miss you monthly favourites? rename as current favourites. I have been constantly reaching for these products which are my go-to for when I know it's quick and safe. (When I say quick it means at least half an hour and it's actually my base which takes the longest). I didn't think I would get as much use out of this palette since I love my brown and gold tones but I have been stepping into the purple phase since picking up a certain highlighter that I am going to mention in a moment. What I love about this palette is how pigmented and easy to work with the eyeshadows are. 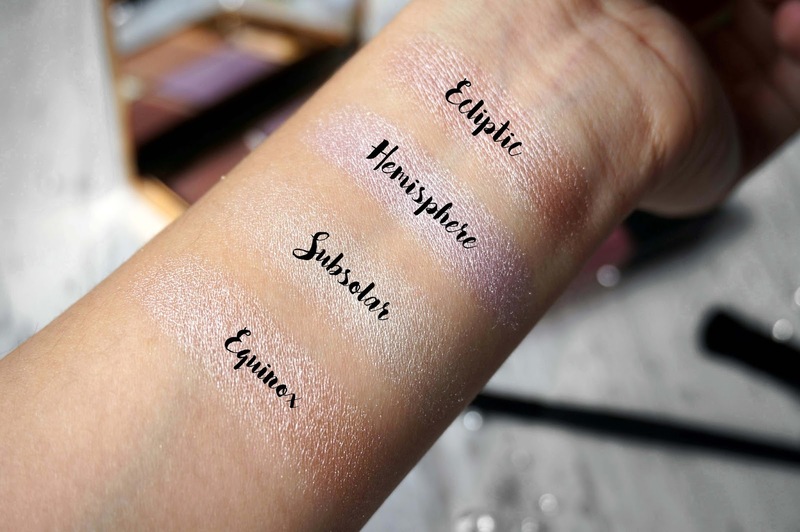 The lightest shade in the palette is one of my go to base colours to set down my primer, the two matte shades which is a light peachy orange and burnt red is perfect as a transitional colour and the star of the show is the purple brown at the bottom left corner which I use all over the lid. I did travel with the palette and it is a perfect everyday palette which I really recommend. I am normally not a blush person and when I do use blushers I tend to opt for mauvey and brown shades like Rockateur from Benefit or Deep Brown from H&M Beauty (very underrated) The Hourglass Ambient Lighting Powder is a firm favourite of mine since it has a beautiful peachy tone which provides a wonderful natural glow to your cheeks not to mention how beautiful the packing is. Since picking up this highlighter palette I have been reaching for more purple tones. The shade Hempisphere is definitely my most reached for shade. The colour in the pan seems like it's not very wearable but that is not the case. You do get a blinding highlight but in a natural way, this looks amazing in your inner eye corner too. For the pigment and price, it's definitely worth the hype. A brow product that I thought didn't work for me in my first impressions (here) is now another firm favourite, the pomade is a bit drier than what I am used to with other pomades but the colour is just perfect for my hair. The shade ebony is the darkest out of the range, it isn't black but a dark ash brown that does not bring out any orange in my brows. I still use the applicator provided and if you are wanting to pick this up remember a little goes a long way and you need a spoolie to blend. 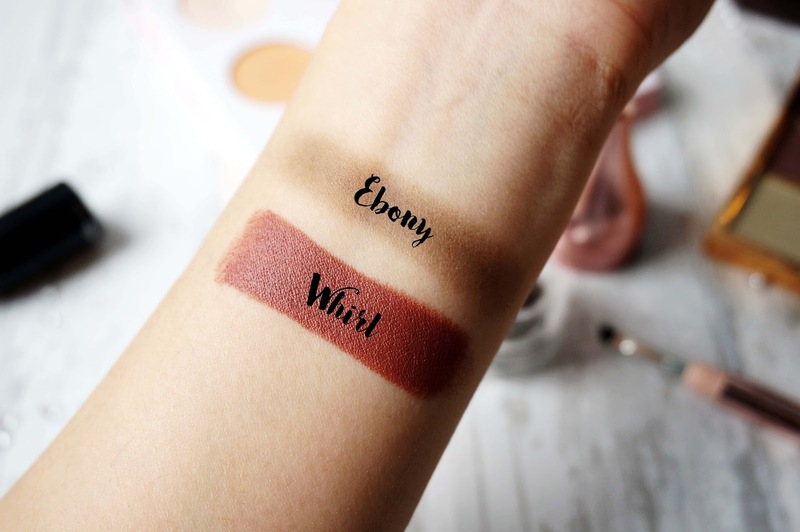 I always have a lipstick on my and in the current purple phase addiction I have going on Whirl is a perfect colour which really helps my overall makeup stand out. It does have a darker purple undertone on my and it's one of those lipsticks that looks different on everyone. That is all for my current favourites! I have that Sleek highlighter palette and it's gorgeous! 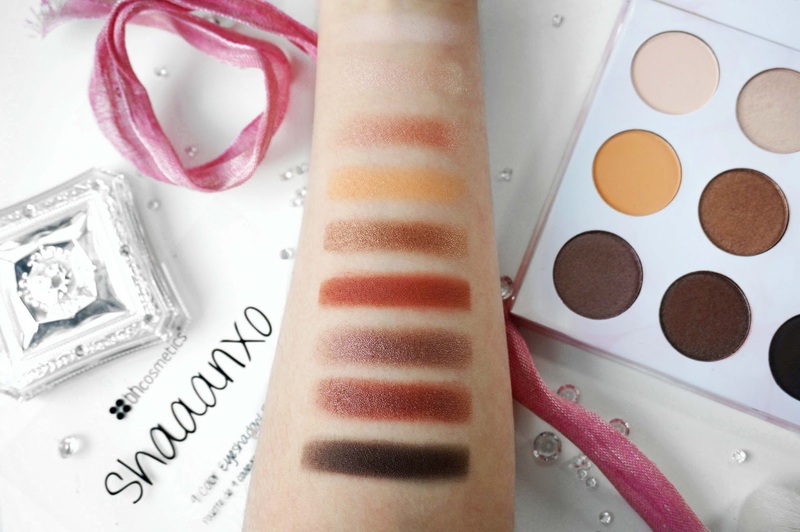 I love the look of the Shaaanxo palette too, the shades look perfect for everyday use. The sleek solstice palette is my faveee!